Established in 1981, TCL Corporation is a global leader in consumer electronics and communications with over 75,000 employees worldwide and $17 Billion revenue in year 2014. TCL runs the world 3rd largest TV business and 5th largest mobile phone business with globally respected brands Alcatel, Thomson and TCL. In the North America market, TCL ships Alcatel mobile phones and TCL TVs. TCL has world renowned panel business (ranked 5th), white goods (air conditioning, home appliances and so on), and AV business. 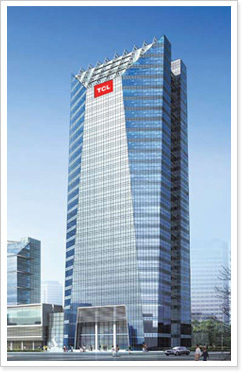 TCL’s worldwide distribution is conducted via its 40,000 global sales offices and authorized agencies. TCL Research America, the research arm of TCL Corporation in North America, is headquartered at San Jose, California, USA. The goal of this organization is to promote technology innovation with the spirit of Silicon Valley, and utilize US resouces to achieve technology advances. •	Smart Computing: Investigate on algorithms and solutions to improve the degree of intelligence of end-point devices or service agents in the cloud. •	Emerging Technology: Investigate on cutting-edge technologies in fields other than multimedia, computing and communications. •	MIT Lab: a joint program with MIT professors and researchers. We sponsor university & professor research activities in relevant areas via Gift or Grant Programs, however, we will not allow for any F&A charges or tuition fee charges. The company will only pay direct expenses.